The SUBARU BOXER engine, which powers every vehicle in the Subaru line, is renowned for its superior balance, smoothness and power delivery — and has been for close to 50 years now. This horizontally opposed design boasts a low centre of gravity that helps create more balanced handling, flatter cornering and greater stability on every type of road. It’s also an inherently compact, smooth and responsive design that feeds power directly to the drivetrain with maximum efficiency. Subaru offers a wide range of these engines — 4-cylinder and 6-cylinder, naturally aspirated and turbocharged — to suit a wide range of drivers and driving styles. Powerful stuff, we’re sure you’ll agree. The low centre of gravity improves stability in the corners, contributing to a more comfortable ride, more responsive handling and greater accident avoidance capabilities. This engine type is compact, lightweight and symmetrically positioned low in the chassis to create smoother and more direct power delivery. The pistons move side-to-side, an inherently better-balanced design, so they create less vibration, generate better performance, and ensure reduced wear and tear on moving parts. The SUBARU BOXER derives its name from the punch-counterpunch movement of the pistons, which face each other in a 180-degree symmetrical layout along a horizontal plane. This layout creates significantly less vibration than the typical engine design. The engine is also positioned in-line with the drivetrain for optimum transfer of power. Many other engines have transverse layouts or are turned perpendicular, so they require additional components to transfer power, increasing complexity and reducing efficiency. 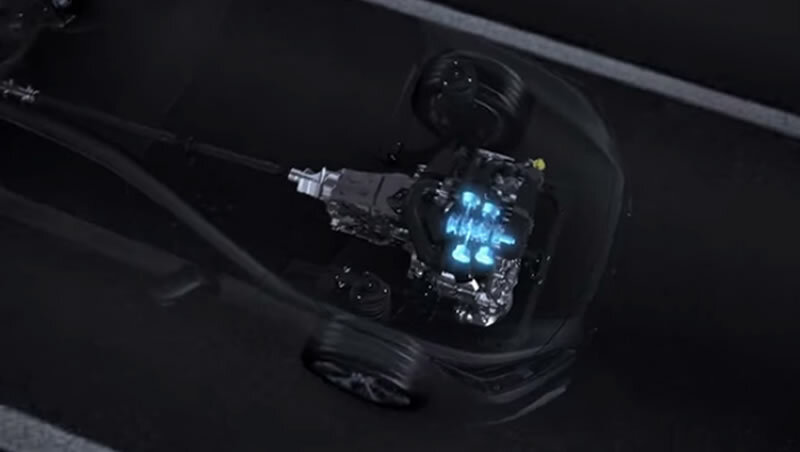 Pistons that move horizontally give the SUBARU BOXER engine a flat, low profile, which enables a lower centre of gravity than other engine designs and a lower centre of gravity for the vehicle overall. This engine is also lighter, better balanced, more compact and has a smaller overhang than a traditional in-line engine. These characteristics enable Subaru vehicles to be inherently more responsive, safer and more stable, with quicker handling, flatter cornering and a more planted feel overall.